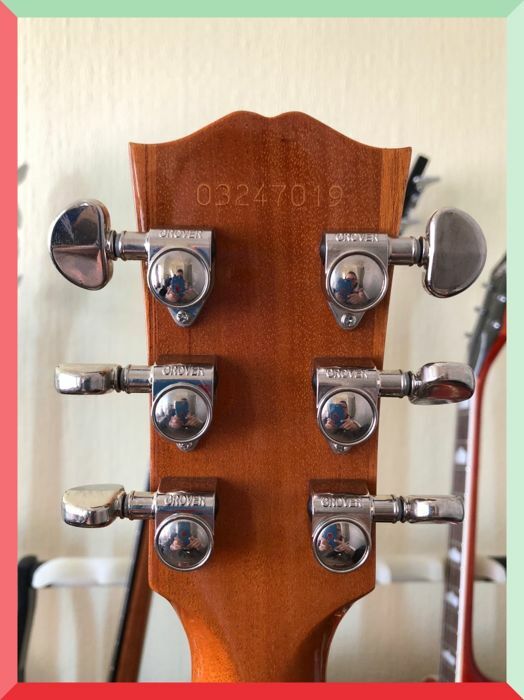 This guitar comes with a full inspection and new D'addario strings. Electric Version of the Famous J-50! 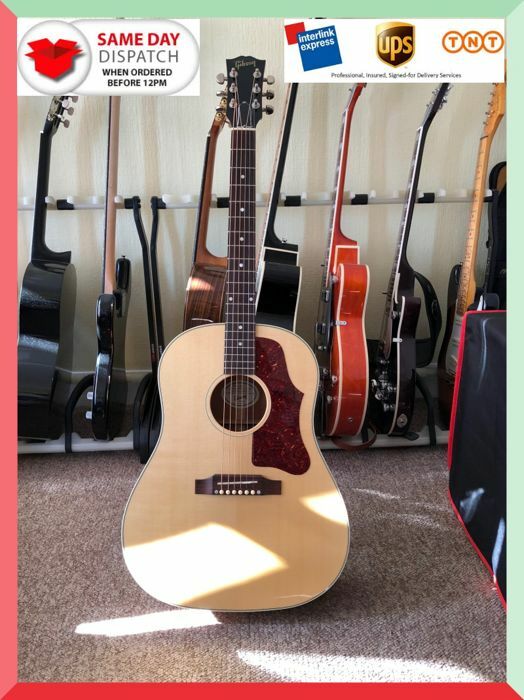 This Gibson J-50 is based on the classic 1960s edition with a '60s pickguard. 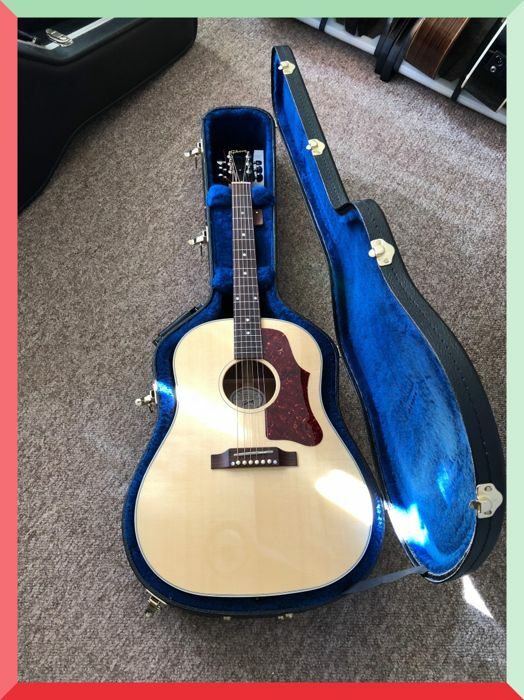 The J-50 was released by Gibson in 1947 as the natural finished version based on Gibson's popular J-45 round shoulder. In the early years of the J-50, players like blues legend Lightnin' Hopkins loved his trademark J-50. 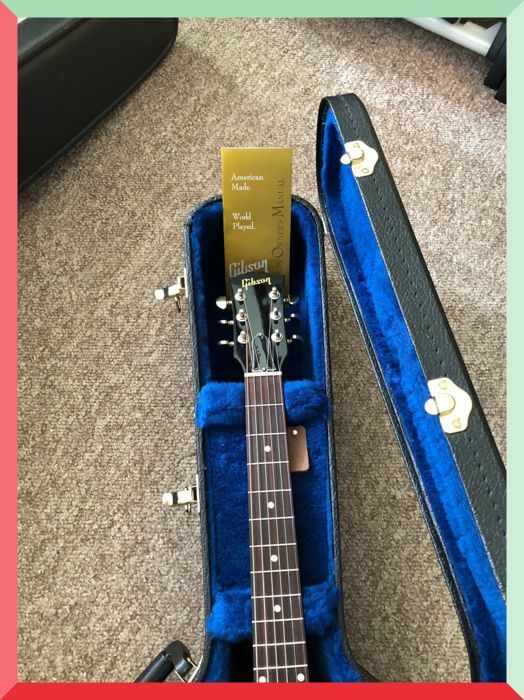 The current offering of the J-50 is Gibson's commitment to their heritage of building guitars of great character, so much so, most of them are now "celebrities" like the artists that played them and/or are as well-known as the instrument icons of each era they have contributed their distinct sound to. Singer/songwriter legend Emmylou Harris grew up with a J-50 as her "first good guitar." Folk legend Gillian Welch is always performing with her trademark Gibson J-50. 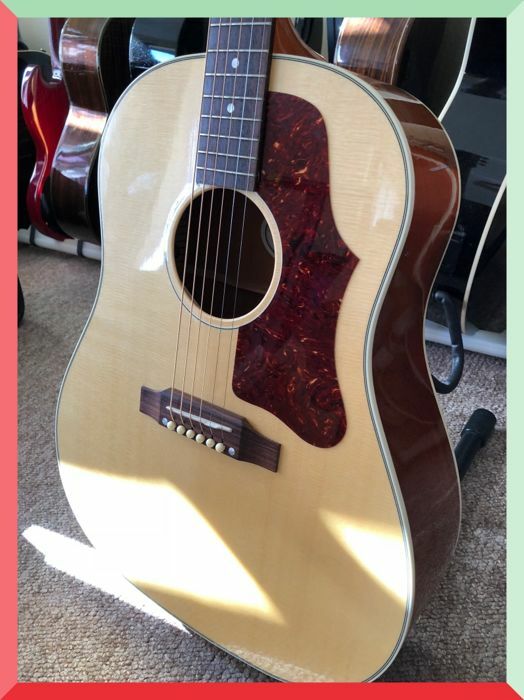 The J-50 is an icon in the acoustic guitar world, and the J-50 Modern Classic is no exception! Delivering quality craftsmanship and classic style, Gibson guitars will always be in the best in the world. Yet, the same technological developments that constantly change and revolutionize the audio industry are also impacting the needs and wishes of modern musicians. Gibson knows this. 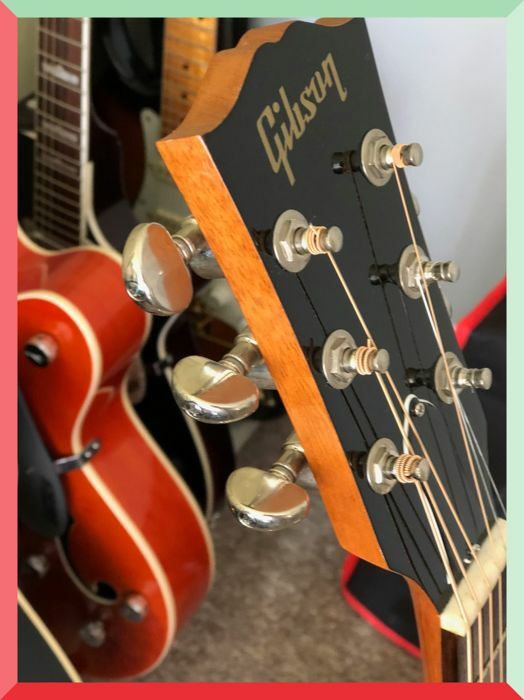 With the release of the Modern Classic line, Gibson gives a nod to the modern guitarist: the guitarist who needs onboard electronics, cutaways to reach the uppermost frets, modified neck profiles, and setups that allow playability, no matter the style of playing. 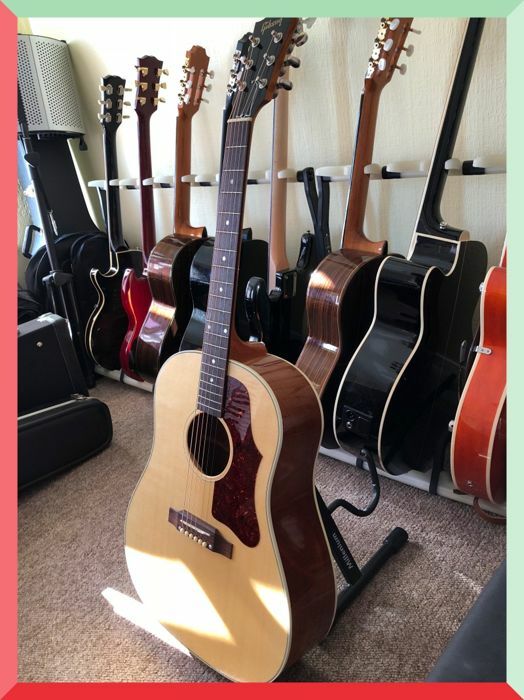 With these features in mind, Gibson redesigned the entire Modern Classics line to give us premium, handcrafted guitars that play easier, intonate better, sound great plugged in, and stay in tune even better than before. 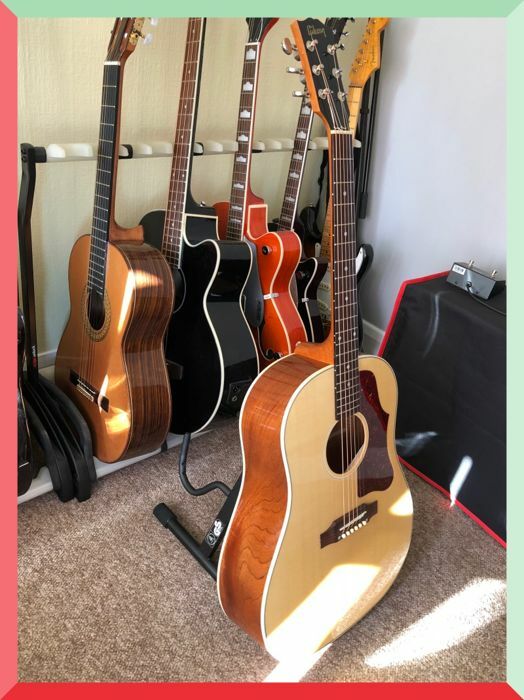 These guitars feature the latest advancements, including radiused, or rolled fingerboard edges, that give you a fast, comfortable feel. 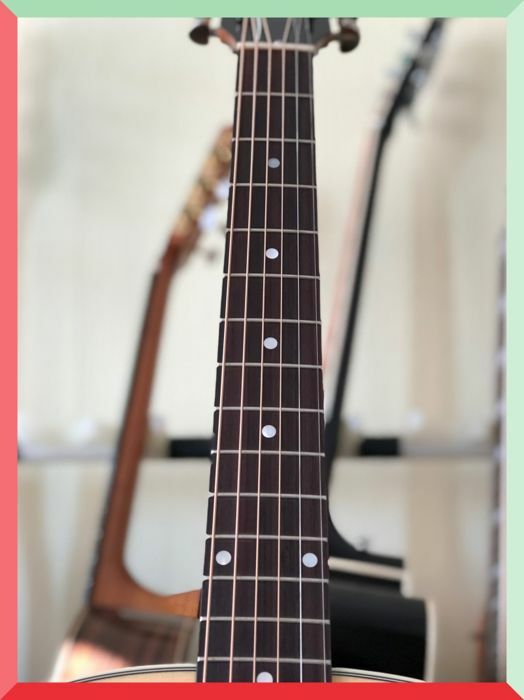 And, with string height lower at the nut, these guitars will also play even easier and intonate better all the way up the neck. 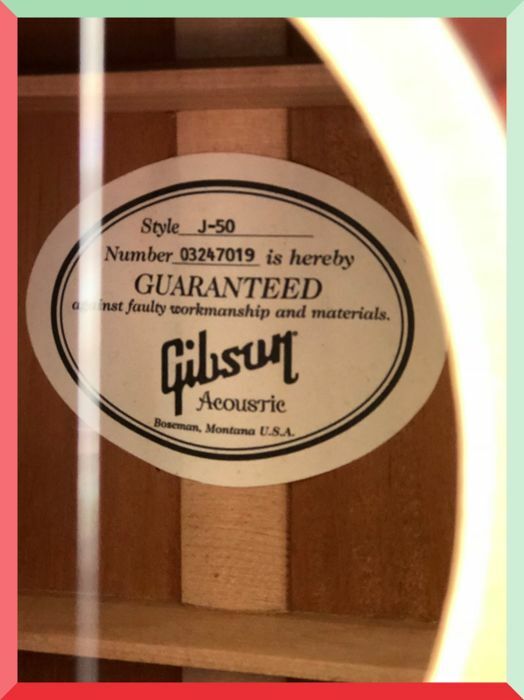 Final touches, including new soundhole labels, sturdy Grover tuners, and premium Fishman pickups, make it easy for you to take your favorite traditional-style Gibson acoustic to the modern stage with confidence! All Modern Classic guitars are handcrafted by Gibson in Bozeman, Montana, from premium tonewoods and components. The J-50 features a premium-quality solid Sitka spruce top, solid mohogany back and sides, and mahogany neck with a V-shape profile. 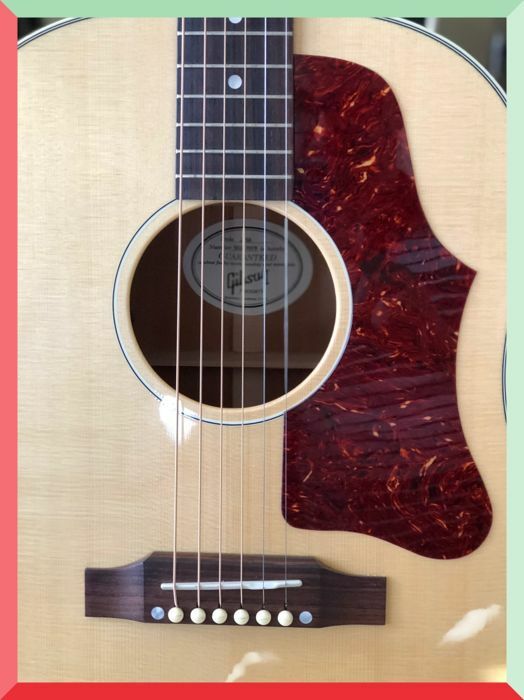 In addition to improvements in playability, electronics, and hardware (which apply to all new Modern Classic guitars), this J-50 features a traditional Gibson rosewood bridge with mother-of-pearl dot inlays, rosewood fingerboard, and the classic J-50 tortoise pickguard. Fishman pickups and nickel Grover tuners make this J-50 Modern Classic a dream to take on stage! 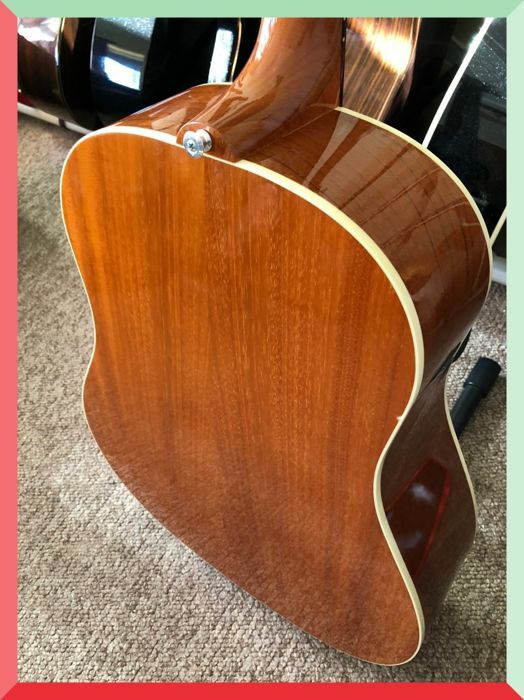 Descending from Gibson's large HG Hawaiian guitar in 1929, and the original "Jumbo," introduced in 1934, Round Shoulder dreadnoughts are steeped in Gibson tradition and lauded for their pure, rich tones and impressive volume. 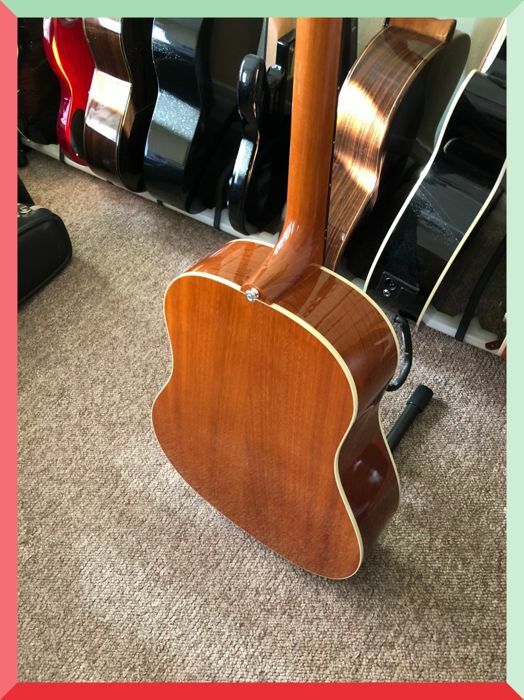 With smooth lines, and a curvaceous shape, Round Shoulder style guitars invite a close relationship with their respective guitarists. 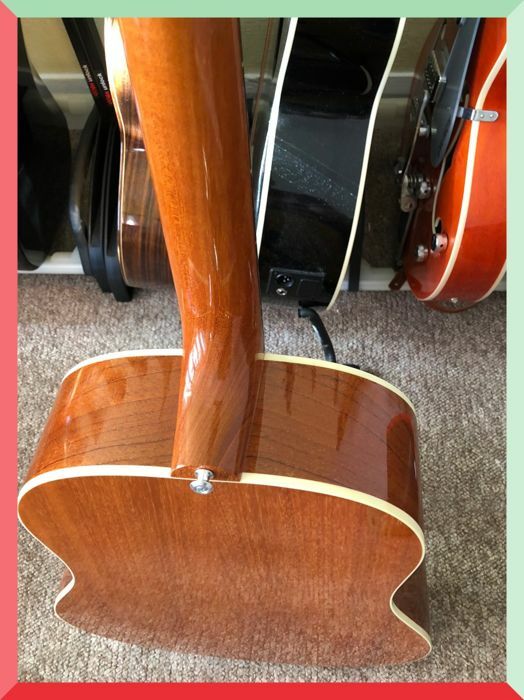 Their body shape makes these guitars easier to hold and more comfortable to wrap your arms around. 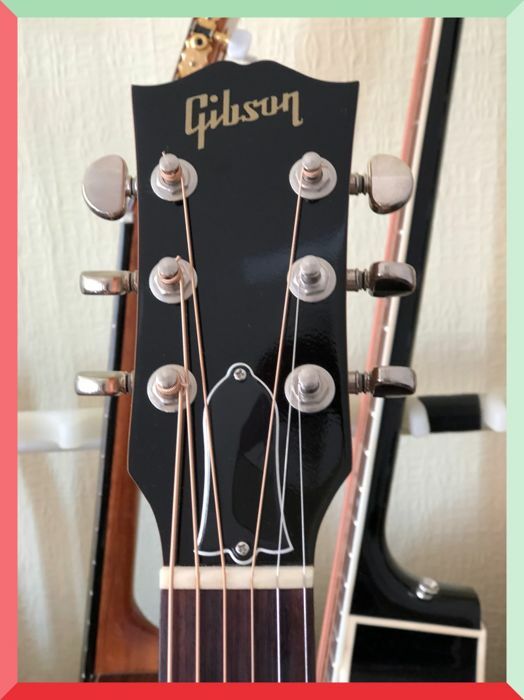 Gibson guitars have been around for well over a century. 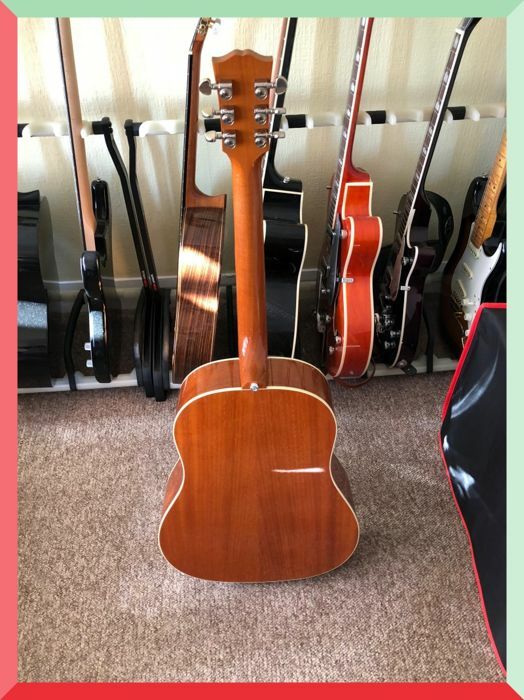 When guitarists are looking for an outstanding combination of superb tone and playability along with great looks and gorgeous finishes, the choice for most of those 100 plus years has been Gibson. 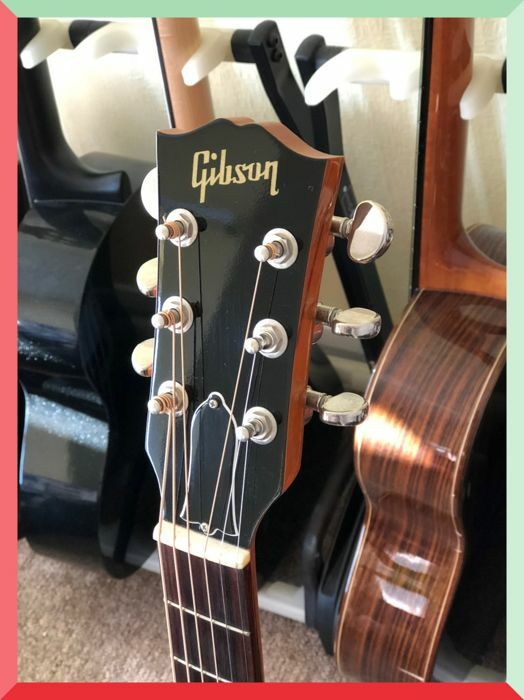 From their amazing collection of fine acoustics to the electric guitars that literally rewrote music history, Gibson guitars have been on almost every chart-topping album from artists like The Beatles, The Rolling Stones, Cream, and Led Zeppelin. These "first call" instruments also cross an enormous array of diverse styles, from folk and country to blues and hard rock. 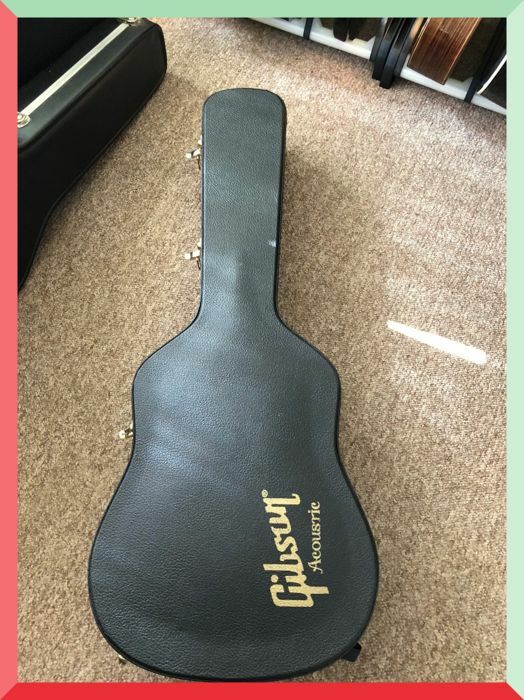 With that resume, it's not surprising that so many of Gibson's best-selling instruments have changed little over the decades. Because there's just no sense in messing with a good thing!